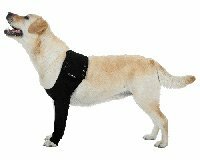 Water resistant neoprene dog paw cover with reinforced foot pad for added protection and comfort. Secure Velcro strap. Available in 8 sizes (size refers to the pad on the bottom). 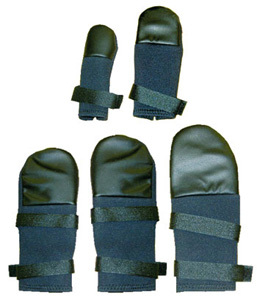 Manufactured from neoprene, these dog paw covers offer padded and water resistant paw protection. Also ideal for use over bandages. One paw cover per pack. In the size drop-down menu above you will see the dimensions of each paw cover, referring to the length and width of your dog's foot. Measure the underside of the foot (the foot print) from top to bottom to obtain the length (l) and from left to right to obtain the width (w). This can be done by holding the paw up or by standing the foot on a piece of paper. Please note that these are paw covers for emergency foot or paw protection. 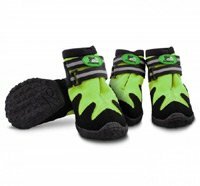 If you are looking for outdoor walking boots rather than recovery paw covers, please see All Road Protective Dog Boots. The boot is reasonably waterproof but if the ground is wet or muddy I put a plastic bag inside the boot to protect the dressing. Thank you for your review. We are glad the paw cover is helping. Please note that these are for indoor use. My golden retriever puppy had a nasty cut on her paw pad and this was brilliant in keeping her dressing dry. Did a perfect job and saved having to redress so often which was stressful for both of us! Excellent service. Product delivered extremely quickly. Price and quality of product just the ticket. 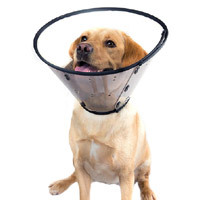 Would highly recommend buying through D for Dog. A good little paw cover. Advice on fitting on site helpful, good quality product. Does have a tendency to slip down a bit but my dog is such a hooligan running around I don't think there is a boot out there that will truly stay in place! Nice and snug and good thick neoprene. Excellent and helpful customer service from D for Dog when the first one I received was faulty - super fast and efficient! Apart from the superfast delivery, just 24 hours from placing the order to receiving it, the recovery collar is brilliant, so much better than the hard plastic cones as it is flexible, but still stopping the dog getting to his operation site. Also, the Paw Cover is very effective and thanks to the advice from D for Dog, it fits well over the bandage on his paw. I was a bit worried as it was raining when we took him for his walk, so I put a plastic bag over the bandage, then put the boot over it but I needn't have worried as when we got home, the plastic bag and bandage were completely dry, even though it doesn't say waterproof, just water resistant. Both items were well worth the money for peace of mind. Thank you D for Dog. Purchased the wrong size initially and returned to replace with a larger size. Absolutely no problem, delivery excellent really no hassle. 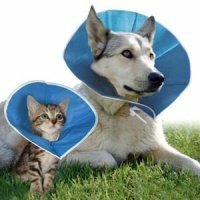 Have purchased other clothing from DforDog all very good and service is excellent. Initailly had a problem with size but got it right 2nd attempt. 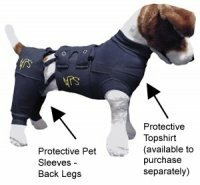 Good item and provides really good protection for my dog and his cut paw. Looks to be hard wearing so should get good use. Recommend this item for first class paw protection. 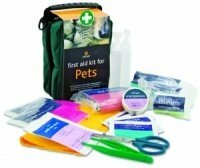 This worked really well for my cockapoo to stop her licking her paw where it was infected. The sizing was a little confusing I measured her paw width and ordered the size I thought would fit but had to return it and get a bigger size. The was service excellent, next day delivery and exchanged straight away. I have a couple of Greyhounds that are prone to corns on their pads. After having the corns and the dressing removed as you can imagine the pads are quite sensitive. These give adequate padding for a few weeks to allow the foot to heal. They do not last long as they are for padding and not a full walking boot and they get scuffed and the foot pad goes get damaged with London pavement walking, but these are the only ones they will allow me to put on and not try to shake them off. They do not keep the foot dry in wet weather or very long grass, but for a padded boot a great buy. Easy to get on and off. I always have a couple in stock just in case.